A long time ago in a recruitment past our founder Troy was working on a Senior Developer role and needed someone with experience in Hypermedia API’s. He scoured New Zealand for experience and was not finding what he was looking for. The next day he got an application from a guy called Michael Galloway in South Africa who looked perfect and so he quickly jumped on a video chat to him. Fast forward - and Troy placed Michael into a role with one of our clients. Michael and Troy stayed in touch over the last few years and so when Mike said “my sister is coming and she is a great IT recruiter”, we took notice. 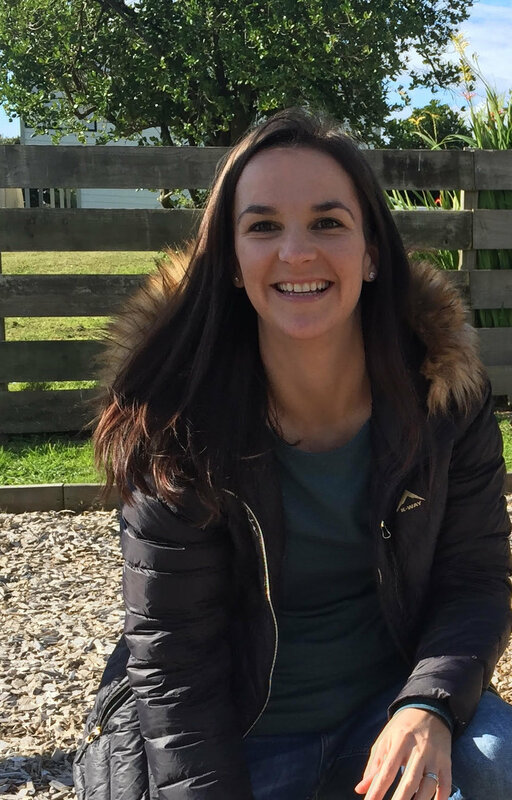 Mike was hoping that we would be able to help her find a job in the recruitment industry in Wellington and upon meeting her, we knew we would not be able to share her CV around, as we wanted to hire her ourselves. Hayley’s experience and personality was just a perfect fit with Talent Army. So, we would love to introduce you to Hayley Moolman who will be joining the Wellington team as a Talent Manager, to help us source more candidates for our amazing clients. Hayley has fantastic experience in technical recruitment and we are very excited for her to join the team. Our Wellington General Manager Adela May asked Hayley some questions about herself and so enjoy reading them below. Adela: Hayley, it is so great to have you on the team. Please tell us a little about yourself outside of work? Hayley: I recently arrived from sunny South Africa after deciding to go on an adventure with my Husband and Daughter. Travelling has been in my blood from a young age and I am excited to make Wellington my new home! On the weekends we enjoy family time and love being outdoors. Adela: Please tell us a little about your work and what you have done? Hayley: My most recent role was as a Talent Acquisition Specialist at an International gaming company. My role was to source highly-skilled professionals within the software development sphere. Here, I learned how to handle this dynamic and ever-changing industry. In all, I have seven years experience in the recruitment field. Adela: Why did you join Talent Army? Hayley: I came across Talent Armys' website one evening and was so impressed with your brand. I knew that I wanted to be a part of this team from my very first interaction with Adela. I love what you stand for and represent. I look forward to being part of this vibrant team! Adela: Why do your clients and candidates love dealing with you? Hayley: I am highly organised and make sure that I respond to every email/question as soon as possible. I hate making people wait for an answer, especially when it comes to their future role and Employer! Being upfront, honest and quick to respond helps me to build great relationships with my candidates and clients. Adela: What is something not many people know about you? Hayley: I am an A type organiser who's idea of the perfect evening is crossing off a challenging to do list. I also suppress a very dry sense of humour, which is destined to come out at office Christmas parties. I can jog when provoked and am married to a man who runs up mountains for a good time. Adela: What is your favourite movie? Hayley: "Just Go with it" with Adam Sandler - i cannot get enough of that movie. Adela: What is your favourite drink? Hayley: In the morning: My heart is so happy that NZ sells Rooibos tea from South Africa. IN the evenings: Since becoming a Mom I cannot go without my red wine. Adela: Why do you love technology? Hayley: Since my first taste of the Tech industry I really don't see myself doing anything else! It's dynamic and fast-paced, keeping me on my toes. Thanks Halyey, it is so great to have you on the team and you will be pleased to know we also have another South African joining us in Auckland in the next couple of weeks. We look forward to trying Rooibos tea with you. You can e-mail Hayley on hayley@talent.army to get in touch with her about work and please connect with her on LinkedIn to help her build up her network.